Having been around for thousands of years, Paving stones can been seen in many ancient cities around the world. From Mexico to England, paving stones are a classic choice. Requiring no maintenance, and having great sustainability, paving stones have become very popular for home driveways, walkways, patios and lawn areas. Paving stones can also create a unique backdrop to any outdoor area, as they come in so many different styles, shapes, and colors. Paving stones are beautiful, durable and, when properly installed, can really add value to your home. 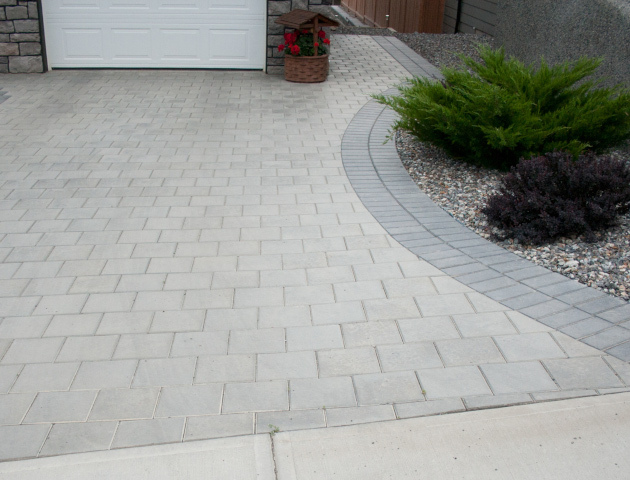 Often called interlocking brick, Paving Stones are used to build patios, paths, and are often used for borders between grass and gardens to aid in lawn mowing. There are so many different stone options, ranging in style and price. And because of this, you always have the ability to choose from numerous colours to help match any style of home. Lynx Landscaping warranties all paving stone work, and this includes a variety of finishing touches. 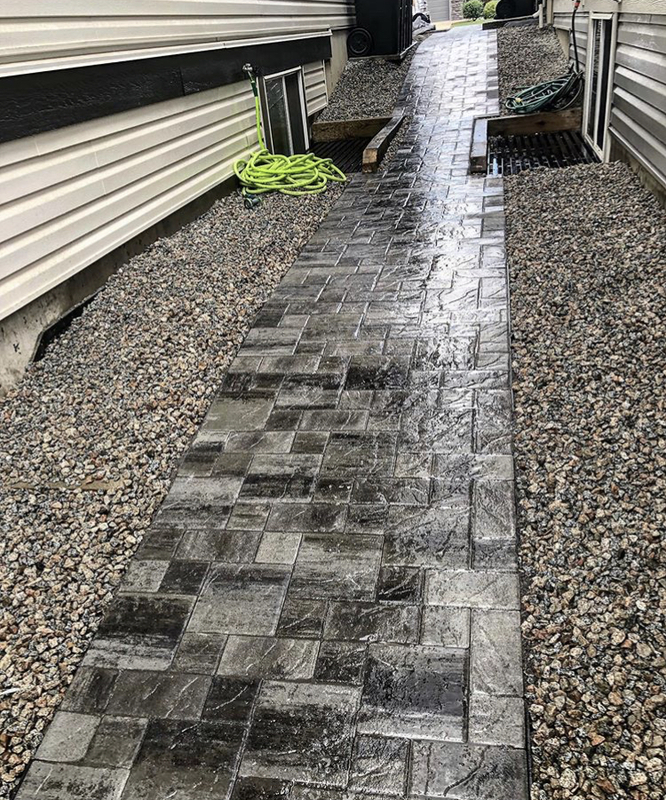 The use of polymeric sand, which is brushed between the joints after the brickwork is completed, helps to lower the amount of maintenance, keeping weeds at bay. All areas with paving stones/brickwork installed will first be excavated. We then apply a road base material, which is then compacted with a plate tamper to ensure your surface will not settle or sink.